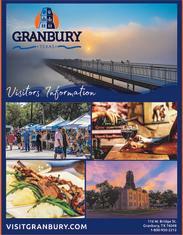 The Granbury Living Christmas Cards™ is an outdoor, interactive family event on the historic town square in Granbury, Texas. This holiday extravaganza, which takes place on the second weekend in December, is Lakeside Baptist Church’s FREE gift to the community, presented in partnership with the city of Granbury and Hood County. The festivities last all day long and into the night, culminating with our “super-sized” Christmas cards coming to life! While the cards may be viewed during the day, the real magic happens Friday and Saturday nights, starting at 6:30 PM.